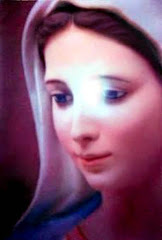 (Mary Most Holy): “Dear children, today, I invite all of you again to desire Holiness. Only when your hearts desire Holiness will God give it to you. God only fills of Wisdom, of Understanding, of Fear of God the hearts that want these Gifts. And just as a pot full of earth can not be filled with water without first being emptied. If your hearts do not empty themselves of earthly things, they can not receive the Gifts of the Lord, the Celestial Gifts. Pray therefore, that you may renounce to everything that occupies the place in your hearts, so that you may receive in you the Fear of God, Wisdom, Intelligence, Understanding and that you may want Holiness and also possess Holiness. Pray, asking for Holiness and understand My children: That you can only be Saint when you truly die for yourselves, renounce your own will and accept that of the Lord. Then a new heart is born within you, a new person is born in you, a new creature reborn in the Grace of the Holy Spirit. And then, God communicates to you all His Gifts, all His Graces. Pray, pray a lot, for the hour that weighs on Brazil and the world is decisive ... Satan now wants to make advance his plans, to bring all of humanity to the Perdition. The young people, even children, families, mankind in a general way is now under his satanic rule ... He has spread the darkness of apostasy, of sin, of hedonism, of pleasures, of idolatry to pleasure, to power, everywhere. 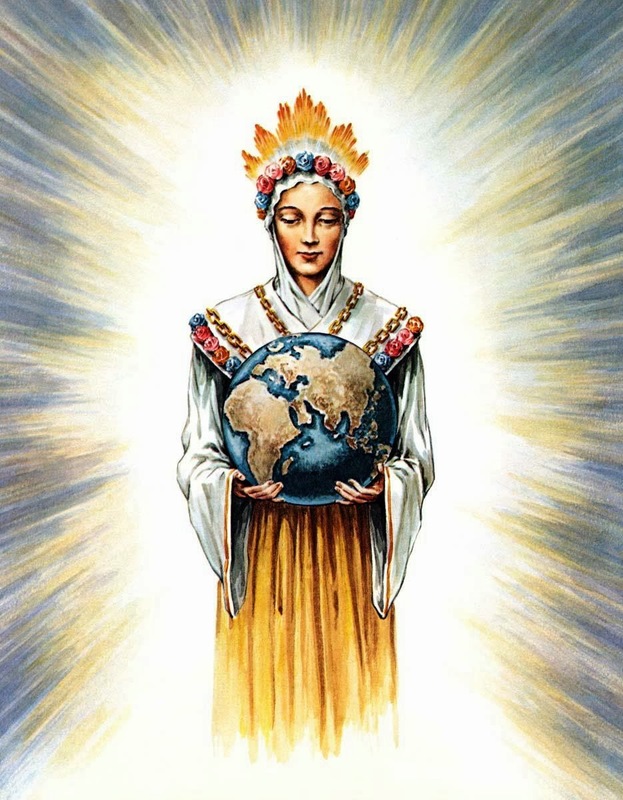 He blinded and obscured the minds of men, who have already become incapable of being touched by any ray of the Divine Grace that comes from Heaven. To save this poor lost humanity, I come from Heaven Here in these Apparitions, to give everyone the heavenly remedy that can heal and save young people, children, families, nations and all humanity. This remedy is the Consecration to My Immaculate Heart, the prayer of My Most Holy Rosary and the obedience to My Messages. If you accept these three most powerful remedies that I give you, you will be healed My children, from all spiritual sickness. The world will be healed of the disease of sin and will finally be delivered from the yoke of Satan. Forward My soldiers! Go everywhere now making the Cenacles more than ever! May every family have in their homes My Image as Our Lady of Tears and that of My little daughter Amália Aguirre. Yes, and that on the third Saturday of each month make a Cenacle in My honor before these Images. I promise to bless all those who do this. And also, that at every 8th of each month pray the Chaplet of Tears before these My Images with your brothers. 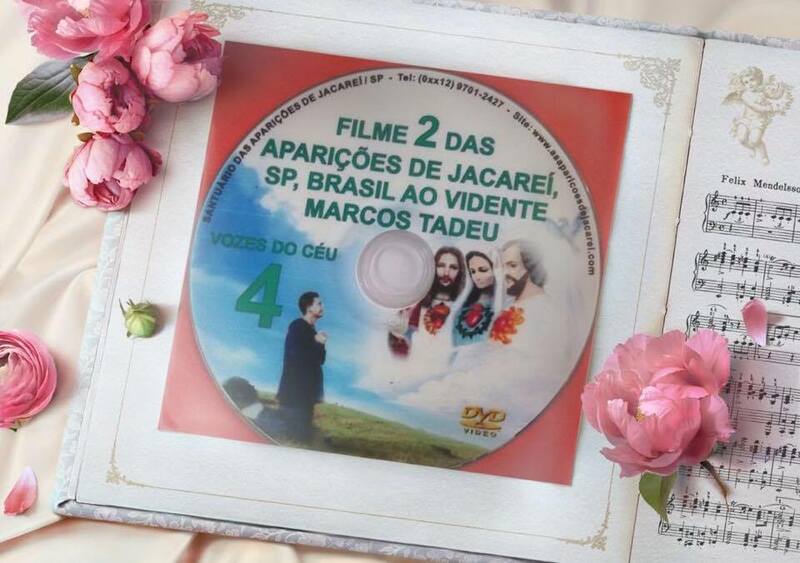 Also give, My children, 22 Meditated Chaplets of Tears No. 21 to My children who do not know (it). It is necessary for them to know My Sorrows, to know My Affliction for the loss of so many souls. Do this, and you will have a Treasure in Heaven! Also, give My children 18 Films of My Apparition in Porzus. It is necessary that My children know the Messages that I gave to My little daughter Teresa Dush. It is necessary that you stop blaspheming, that you hallow Sundays and Holy Days, that you pray the Rosary every day and that you do much Penance. Only then will the world finally find the Peace! I love each of you and I bless you all. 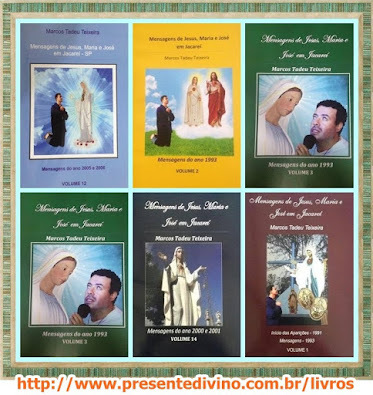 I say: Imitate My son Anthony of St. Ann Galvão, for he greatly pleased My Heart with his life, with his holiness, with his Consecration to Me. May all consecrate themselves as he to Me! And I promise to perform in you the Wonders of My Motherly Love, as I performed in him. Everyone who imitates My son Anthony of St. Ann Galvão, and to turn to him with confidence in Prayer will be saved! 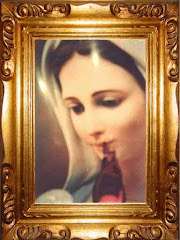 (Mary Most Holy after touching the Sacramentals): “As I said, wherever one of these Images, Chaplets, Pictures comes ... I will be alive there bringing the great Graces of the Lord.